And thanks so much, Nancy, for inviting me to be our hostess this week. It’s a real honour! Mine is on my blog…wonderful theme, Frieda! Mine is on my blog, thanks for the great theme Frieda. great theme Frieda ! my entry is on my blog ! thanks for looking. A most fantastic theme, Frieda! Here’s my arch for the week. Frieda, what an amazing piece you’ve created!!! Here is my entry. It’s on my craftinitalia blog. Here’s mine for this week!!! Thanks Frieda!!! Here’s mine for this week!! Thanks to everyone who left such kind comments on my blog. It really is inspiring. Here is my arch for this week. 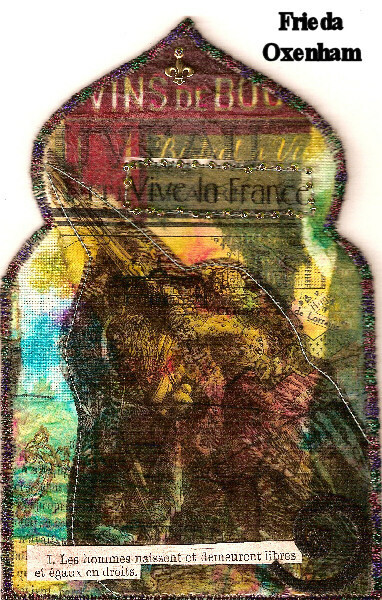 My Viva La France entry, thanks for visiting my blog. My Viva La France entry. Thanks to Kris C. who pointed me in the direction of this beautiful blog and all of these gorgeous arches!